The pianist Taka Kigawa, who will play Messiaen’s “Catalogue d’Oiseaux” at Le Poisson Rouge on Monday. Olivier Messiaen’s “Catalogue d’Oiseaux” (“Catalog of Birds”) is an absurd undertaking for a pianist. Its sprawling score demands that performers master three hours of complex music: the painstakingly transcribed sounds of European birds. 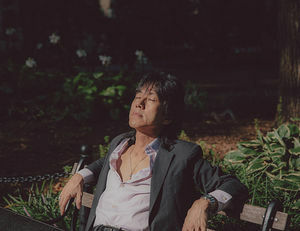 The piece is an ideal fit for Taka Kigawa, the adventurous pianist who will play Messiaen’s “Catalogue” on Monday at Le Poisson Rouge in Greenwich Village, his frequent performing home. Mr. Kigawa has a reputation for tackling heady and exhausting music with ease. He has performed the complete solo piano works of Pierre Boulez in a single evening, and all of Bach’s “The Art of Fugue,” from memory and without a break. But both those programs were far shorter than the 13-part “Catalogue,” which Messiaen wrote in the 1950s for Yvonne Loriod, his wife and muse. And learning the work requires more than just skill; a successful performance is also a deep dive into ornithology. Messiaen was a lifelong bird lover. Many of his other works also contain avian references, such as the musical direction “comme un chant d’oiseau” (“like a birdsong”) in his vast “Turangalîla-Symphonie.” While composers such as Beethoven and Mahler have included minor third intervals — the quintessential cuckoo call — to evoke birds, Messiaen transcribed a wide range of songs and paired them with atmospheric music to illustrate their European habitats. Mr. Kigawa also spoke about the intellectual demands of Messiaen’s music, how Google changed his performance of “Catalogue” and why he lies down during intermissions. Here are edited excerpts from the conversation. Depending on tempo, the duration of this piece can vary pretty widely. Yes, mine is longer. It’s about three hours 15 minutes: a lot of fermatas. I try to take a lot of space and silence, which to me is important. Just like nature. The notation is very meticulously written, very precise. But if you play it as written, it can sound like a metronome. A birdcall is sort of an improvisation, though. Birds don’t read the score. So you have to make it alive. The music is also a form of scientific research. It quotes more than 75 birdcalls. So how does studying this compare with other piano music? I spent more time at a desk this time. You’re not only trying to arrange the notes. You have to study birds — how birds sing and also the nature they live in. Messiaen immerses you. It’s now easy, thanks to the internet. You just Googled the birds? Yes, and YouTube. It’s quite amazing. But I actually first studied it before the internet era. European birds — they aren’t in Japan, so it was completely out of my imagination. Now it’s much easier. You can actually hear a European bird and see a picture. Watching them inspired me a lot. They give the music character. During marathon concerts you never really seem exhausted by physically and intellectually challenging music. People say I look like a monk. I’m just trying to concentrate. And at intermission I will have a Gatorade or bananas, and I’ll lie down. It’s a good way to refresh your brain. Everyone should do it, for just a few minutes. But I try not to sleep — that’s no good. Do you mean to seek out long and difficult music? I just play what I like best. I go to libraries, and I go to other people’s concerts and think about what kinds of composers are interesting. There is so much beautiful piano music. I feel sometimes like I’m on a beach. The sand is made up of little grains, and I’ve played only a handful. There’s so much more. Are you planning to play more Messiaen? Would you play the solo part in “Turangalîla-Symphonie”? I’d love to! If someone calls, I’ll be there.